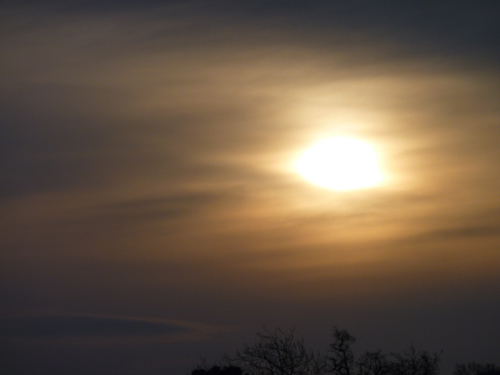 The rising sun looks amazingly like the setting sun of last night. 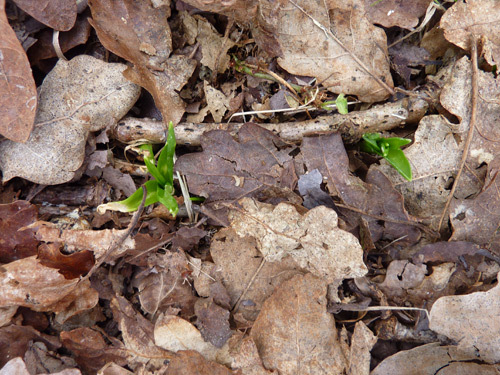 The bluebells are beginning to poke their noses up through the leaf letter in Pinnick Wood. 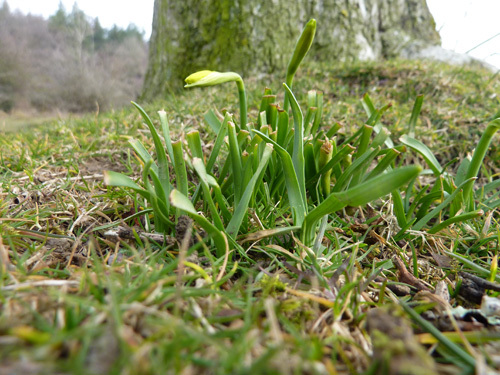 The daffodils that I showed on the 14th as just leaves making a show at last have put on a spurt and now have buds – in three days! 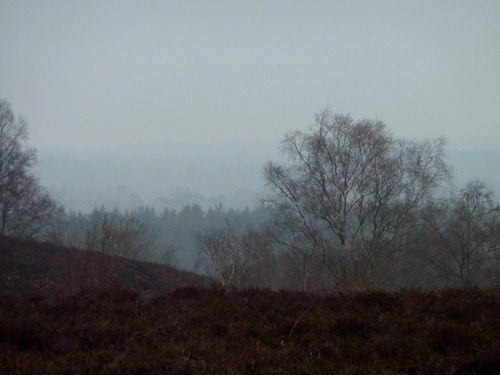 Above Big Whitemoor Bottom – misty and still. 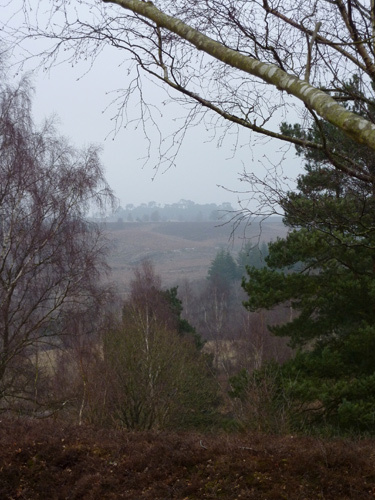 Whitefield – through the murk from the northern edge of the old gravel pit. 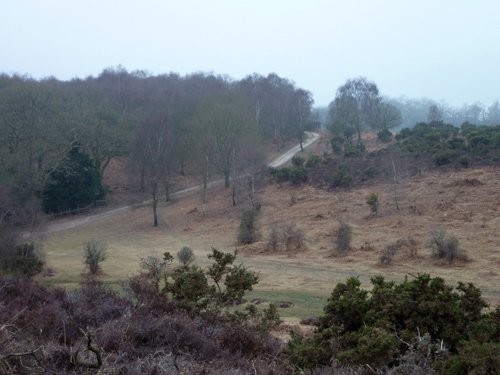 Cranborne Chase out there somewhere – not to be seen again today. 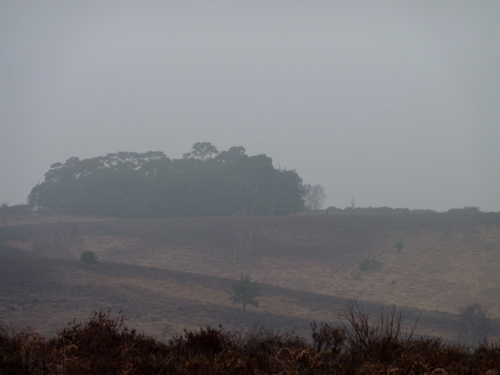 Whitefield with the mist clearing a little. Not a good day for photos!